Products for review and giveaway were supplied, which facilitated the writing of this post. 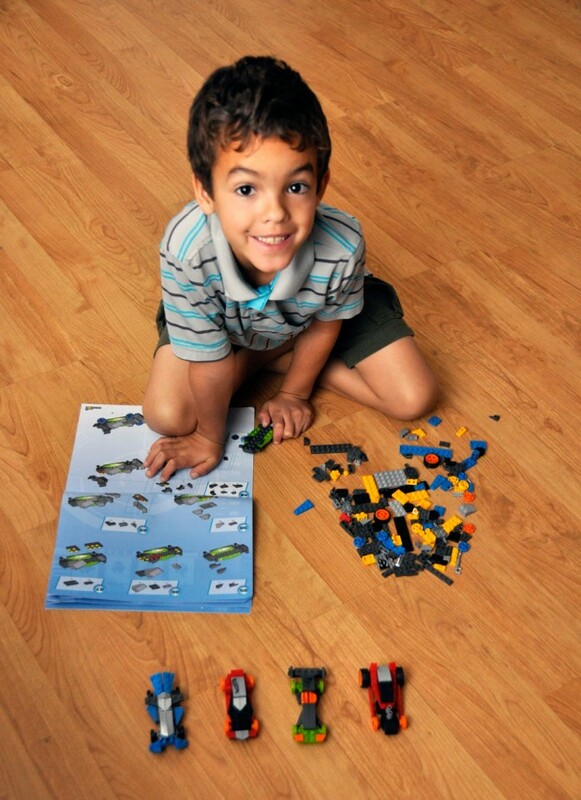 My son can spend hours building and creating, so it isn’t surprising that every year during the holidays, he has the latest colorful, interlocking brick building set on his wish list. While many toys purchased have come into the house only to reside permanently in the toy chest, he only has a few that he plays with daily and those include his building sets. What I find really interesting about these sets is that he will build them one time according to the instructions, then take them apart to imagine his own creations. If building is his forte, it’s closely followed by his love for all-things in motion, particularly cars. Perhaps that is why he could not wait to open up the brand new Mega Bloks Hot Wheels™ Super Race Set 8-in-1. 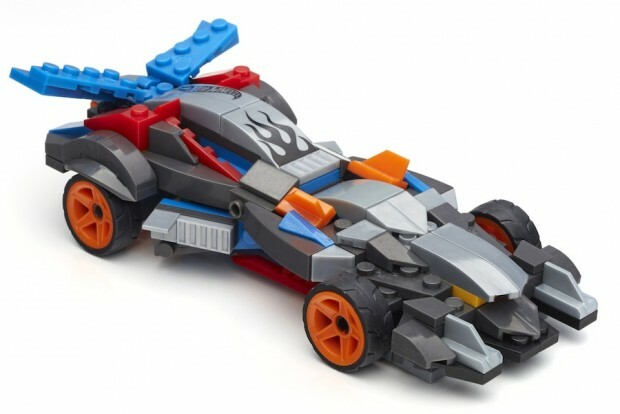 This hot wheel-inspired building set combines the creativity of building with the excitement of racing in a set that literally holds infinite rebuild possibilities. Designed for children ages 5+, this set features 289 colorful plastic interlocking building pieces to create 8 mini cars that can then be raced. Once the cars have been built, kids can then take them apart and rebuild the “mega” car or create their very own customized cars. 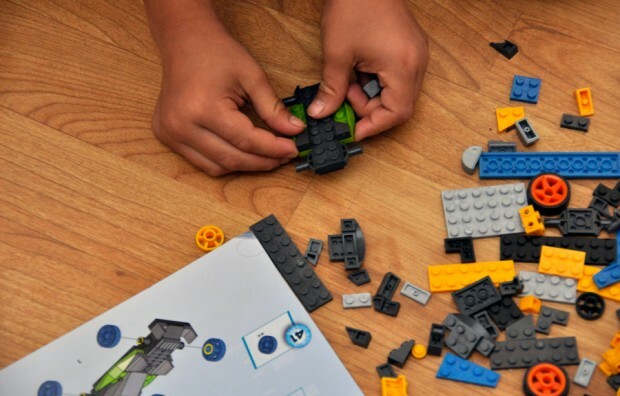 There really is no limit to what kids can create, which is why building sets like those produced by Mega Bloks are played with for many years. Once I gave my son the ok to open the set, he used the instruction manual to put the mini cars together. I’m constantly amazed at how quickly he put them together. Recently, my daughter received her first princess-inspired building set and it took me a very long time (and a whole lot of patience) to help her put it together. Along with inspiring creativity, building blocks teach children a number of different skills including hand-eye coordination, quantitative thinking, and spatial skills. Very often I’ll find my son building with his friends at school which means that these blocks can also help develop a child’s social and language skills while encouraging cooperative play. In an age where technology seeks to entertain even the youngest 0f children, it’s important that parents continue to foster the type of play they need… play where they use their imaginations and their hands and their voices to develop those crucial life skills. Win It! 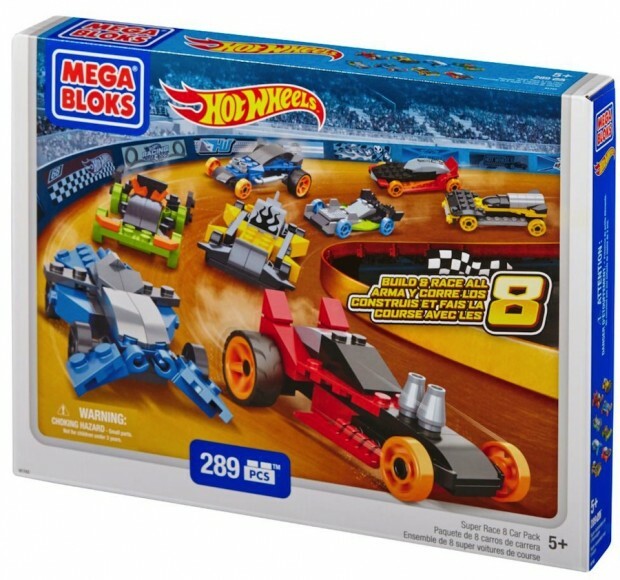 One of you will win a Mega Bloks Hot Wheels™ Super Race Set 8-in-1. Simply complete the Rafflecopter form and leave me a comment with another set you like from the Mega Bloks site. Comments will close on November 22, 2014 at 11:59 PM PST. My little one would also love the BAJA BONE SHAKER™ MONSTER TRUCK. I think my child would also love the Bone Shaker toy. My nephews would also love the CHOMPY BOT ATTACK from their skylanders series! 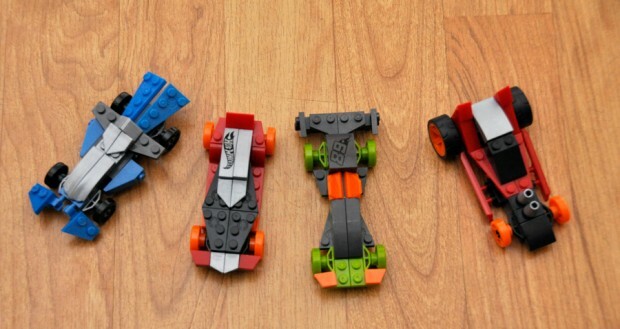 My grandson would love the Fast Fish™ (Green) car. My nephew would like to have the Gunboat Takeover. Definitely the MegaBloks Hello Kitty Tree House would be a hit. BAJA BONE SHAKER™ MONSTER TRUCK is something my son would LOVE to have! My kids would like the call of duty Hovercraft. MY son would love the dragster. My youngest would love the Krusty Krab set. The Chompy Bot Attack from the Mega Blok Skylanders series would be great! My son would love the Spongebob set! I think he would like the Bone Shaker. He would love the fearless jump stunt set! Our son wants the power ranger sets so badly! My daughter would love the Barbie Build ‘n Play Chelsea Pool Party. My son would love Thomas at the Sodor Steamworks! my daughter would love the Barbie mega bloks mansion. The Barbie sets would be popular at my house. I think my son would like the spongebob set. The RESCUE CENTER HEROES looks like lots of fun! Oh he would also love the URBAN AGENT™ STUNT RIG HOT WHEELS! Another toy my kids would love from Mega Bloks would be the MINI FASHION FIGURES. Thank you for the wonderful giveaway! She’d love the Hello Kitty Water Park. My son would love the stunt ones. Thanks for the chance! My kid would love ANY mega bloks! My son would also like the Bone Shaker! My daughter would also like their ’24 OURS’ car and figure. My son would love the Fearless Jump Stunt set. Thanks for the chance to win! My daughter would love the Busy Bumper Cars, she loves Hello Kitty! The Barbie Build ‘n Style Pet Shop looks like fun! My son loves the Spongebob toys.